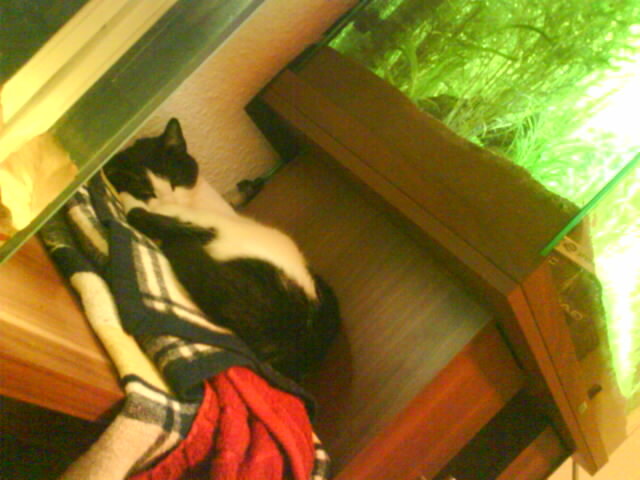 She always finds a cozy place..
After workin on one of my Fish tanks I had as usual water all around and near the Fish tank because it drops everywhere when I take my hand out of them. So I have to clean up after working there. This is why I have some towels there. Yesterday I was to lazy to take the towels to the washer. 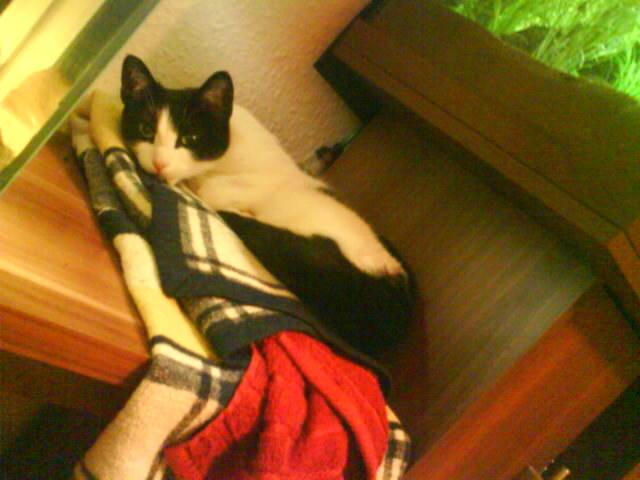 My cat maybe thought “Wooow.. nice place there between two fish tanks” and laid down on the towels. I said very quit in german “Fall asleep kitten. Fall asleep kitten.. go and visit dreamland. Fall asleep.” a few times. 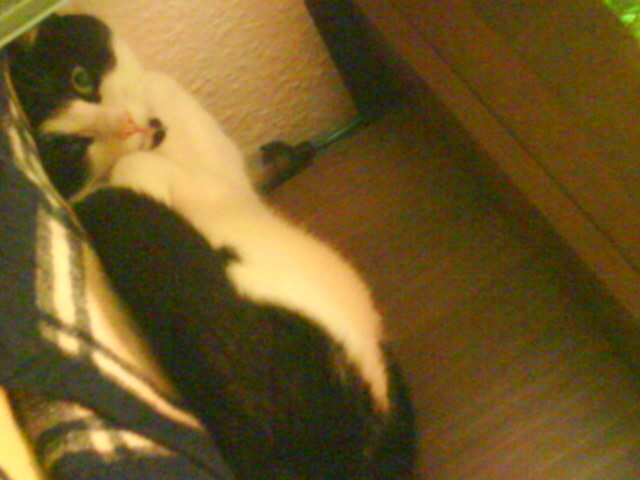 And took some photos in bad quality while she was slowly falling asleep. 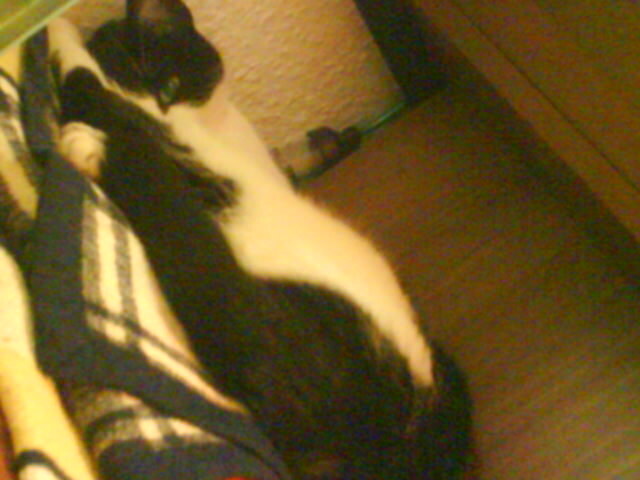 So I can tell you my cat always find a cozy place where she wants to relax. SWTOR 7 Days Trial Invite arrived to my Email Account. This will be probably again a devastating Impression if I use it.